Do The Shure BLX288/PG58 Wireless Vocal Combo Microphones Have The Clarity And Range Desired? The specification for the Shure BLX288/PG58 Wireless Vocal Combo Microphones shows that there is a lot going here to ensure that this device appeals to different types of users. This wireless set-up comes with the promise of “professional-quality sound…and an intuitive interface for legendary audio performance”. 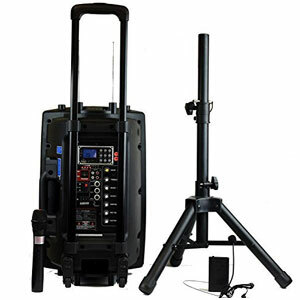 This is down to the combination of the 2 PG58 handheld transmitters and BLX88 dual-channel wireless receiver. In addition to this, the box contains microphone clips for both transmitters, the power supply and a user guide to get the best out of it. There is a lot going here. Is it all too much, or are buyers ready to recommend this system to others. 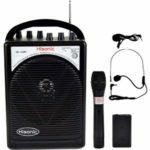 How beneficial has this Shure BLX288/PG58 Wireless 2 Part Microphone set been for those in need of a reliable microphone system? As this is a wireless model, there are high hopes about the communication between the transmitter and receiver and the range of this system. Most buyers seem to be impressed with the distance – up to 300ft in a straight line – and the way that the elements talk to each other. The channel scanning and choice of receiver options is a nice touch. There are also helpful bonuses in the intuitive buttons, LED status indicators and use of simple AA batteries – two of which are included in the pack. Many go on to say that these batteries tend to last surprisingly long, reducing the costs and the risk of power failure mid performance. 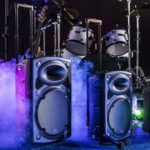 The electronics of the Shure microphones are generally well-received and this seems to lead to a reliable, ease to use system for most buyers. There are reports from musicians and speaker, particular those talking to small seminars and church meetings. 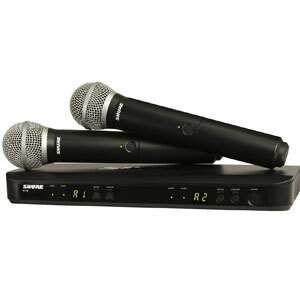 This is enhanced by the clear, quality sound that comes out of these wireless microphones. 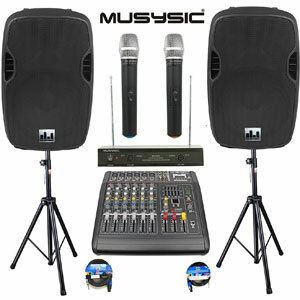 It is crisp and balanced, with no feedback, and can cover a medium sized venue with ease. What drawbacks have been mentioned in user reviews that limit the appeal of these Shure BLX288/PG58 Wireless Microphones a little? The main problem with this system seems to be the build quality and a generally cheap feel to the product. This doesn’t fit in with the promise of “world-class construction” that comes from these BLX Wireless Systems products. Some dislike the plastic-feel of the casing and are worried that they may break a little too easily. There are also those that have experienced issues with the feed cutting out, which suggests some faulty merchandise among the more-well made items. Summary: how does this issue affect a final recommendation for the Shure BLX288/PG58 300ft Handheld Wireless Microphone System? There are some clear pros and cons here. There is the risk of a low-end microphone that doesn’t have the feel and professionalism of some tougher, more expensive models. Yet, this does seem to be outweighed by the positive elements. Regardless of the casing or cut-outs, there is still a strong chance of a good performance, clear sound and reliable communication between the transmitter and receiver. Add in the extra features in the bundle and these Shure wireless microphones can seem like a pretty good value option after all. 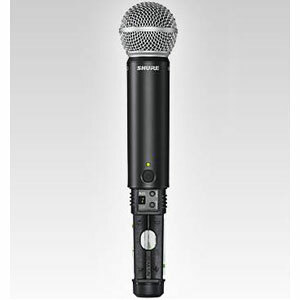 Find more reviews about the Shure BLX288/PG58 Wireless Microphones on Amazon here.